Some people laugh at those who spend enormous amount of money on a game. Other laugh at those who think that was enormous amount of money. not would pay no money by an Association or account. PD: My tokens and boosters right now! Asso Fa is the dirtiest place on TE. It is so obvious for all to see what they been doing in Asso and Nordeus know it. Well they need this people to keep their business going and growing (Black Market ). Hey girl, wanna see my platinium association and my team full of fast trainers? I will even name my stadium after you. Hello? Any admins? Hello? Is there anybody there? 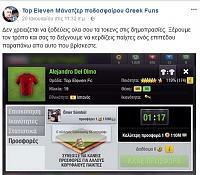 I thought it was against Top Eleven rules to sell accounts? 15 hours and no reply. No, they - nord-guys do response to reports like this. Unfortunately for this guy, he 's gonna loose his asso. Last edited by nikolgiorgos; 03-18-2018 at 09:53 AM. Bunzo and Alessio Fitch like this. It was back at June of 2014 when I started playing Top Eleven. So far, I didn't have any experience with free to play/ free to pay fb games. I bought my mobile 8-9 months ago and played some puzzle or strategy game like the free civ (the Civilization version for mobiles). I was playing vs AI and later found a cheat that gave a good amount of starting game money (editing a file). I like cheats, most of the times I use them. 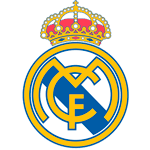 I 'm playing a game without cheats, to test my skills and how far can I ago and then playing again with cheats . Well, that's a different game then. Exploring more, testing the AI and the scenario of the game, enjoying the landscape and the details of the environment in God Mode without worrying to take a head-shot - lol. 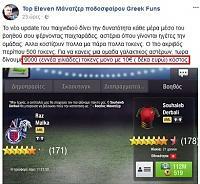 Sο what I did for TE was to find some cheats. My first source was the google of course. At that time I wasn't aware of this forum and there weren't those big popular fb groups like today. Enough to buy my favorite players from the scout. You had to write the number in a box and proceed. 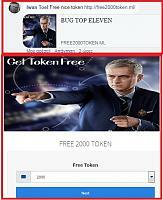 - write in ten TE fb groups the phrase "I won 9.999 tokens from here ...link... "
- give your credit card or the number of your mobile. I wasn't so naive to give my cc so I gave the number of my 2nd mobile which wasn't with a contract, just had some credits, I think 3-4 $. After that, I had some messages from a 5 digit number which sucked all my $ credits. After that, I searched about those fb ftp/ftp games and realized how stupid I was (but not so much). And few days later, joined this forum which really helped me. I 'll continue with some examples. 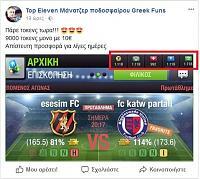 Last edited by nikolgiorgos; 03-25-2018 at 06:26 PM. xander and milpol like this. I 'm a member of two big, popular TE facebook groups and from yesterday I saw a post there. then next button, which is asking you to register in your fb account. * I sent a warning to the adms of those two groups which I know, to ban him but of course there are many others without a clue. Last edited by nikolgiorgos; 03-23-2018 at 08:33 PM. 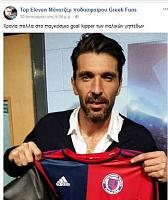 Some time ago, a friend and member of the Greek forum made a thread, reporting a fake fb page where a friend of him lost some money. What this fb was promising ? 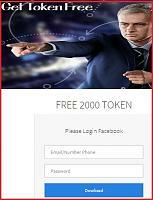 You have a new recommended for 500 tokens ? Don't worry, now you can have them. Sounds logic, isn't it ? You buy a 10$ itunes card (or from some phone providers) and you send the the credit codes of the card. and they didn't promise only that. of course after some reports, they deleted all the above but they are still there, waiting for things to calm down and to find new suckers. Last edited by nikolgiorgos; 03-23-2018 at 08:34 PM. hmm, well it would be silly to say that TE cannot be hacked. Some experts hacked NASA, FBI and governments pages. For sure they can hack a fb app. But what are the motivations ? Well. it's not a big deal for a special hacker to bring down a fb app, not something to be proud of. Ok, let's say that some hacker loves to play TE and he hacks it. Like this guy in this team's show case for example. This Sith ( ), made a 9* team, won everything for three seasons and then dropped the game. How comes ? A TE hacker cannot sell his "product" to very few for a big price because it doesn't worth it. So must do massive sells, probably from some social channels like in TE fb groups, youtube or from some blog. But this will cause some ado, a fuss, managers will start using it and finally will attract some attention from the nord-guys. So far, I never saw anywhere some "successful" way of hacking TE. 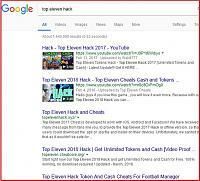 All those vids and links are fraud and those pics with some thousands tokens and sources are photoshop products. But maybe there are some holes in the system, more about the provider's part. For example I 've seen a post about how to break the 30 vids limit of a provider. Didn't try that to confirm. Those tricks, files, apps have a very high risk and it's not worthy to destroy my device or my personal files for a game. Last edited by nikolgiorgos; 03-25-2018 at 08:12 PM. khris, madflo19, Altiplano and 4 others like this. I can say this is the most interesting thread I 've read in the forum lately.